Tony Jones posted Philip Clayton’s obituary of Wolfhart Pannenberg. Pannenberg was my first nerd crush in undergrad. At Campbell University my religion professor Dr. Martin was disturbed by my ‘loosely Christian Jesus Seminar styled Tillichianism’ and insisted I read a real theology text – Jesus: God & Man. I stayed up two nights in a row to finish it. I half understood it but was completely mesmerized by how thorough Pannenberg attended to the same historical Jesus conversation that was defaulting my Christology. After that I knew I wanted to be a theologian. Three years later at Wake Forest University it was Pannenberg’s first American student, Frank Tupper who gave me an intense Pannenberg summer seminar in Pannenberg. He said “I will make you work more in 2 months than your first two years of graduate school. In the end you will know Pannenberg & you will know if you are really called to be a theologian. It was intense. We read all 3 volumes of his Systematic Theology meeting each week to discuss 150 pages and my 15 page paper on each section. At the end of the class I had two week to write a 50+ single space page final paper. In the process of reading, writing, and avoiding sleep I came to love Pannenberg’s intellectual tenacity. At Claremont School of Theology I got teach Pannenberg in my first Systematic Theology class w/ Philip Clayton. He asked me to give the 45 minute intro to Pannenberg’s project and I was intimidated. Afterward Philip gave me a few comments and then said ‘it was very clear you love Pannenberg for the best reasons. Too many evangelicals love him for his conclusions and fail to appreciate his true brilliance in the argument itself.’ Later I wrote an article on the conversation between Pannenberg and John Cobb. After Cobb read it was had lunch to discuss it but all Cobb talked about was Pannenberg’s hospitality in Germany and his commitment to their friendship. Then I Cobb showed me the Christmas card he received from Pannenberg. Pannenberg has always been a part of my academic life and the story of my faith. I always wished I would have had the chance to tell Pannenberg thank you. 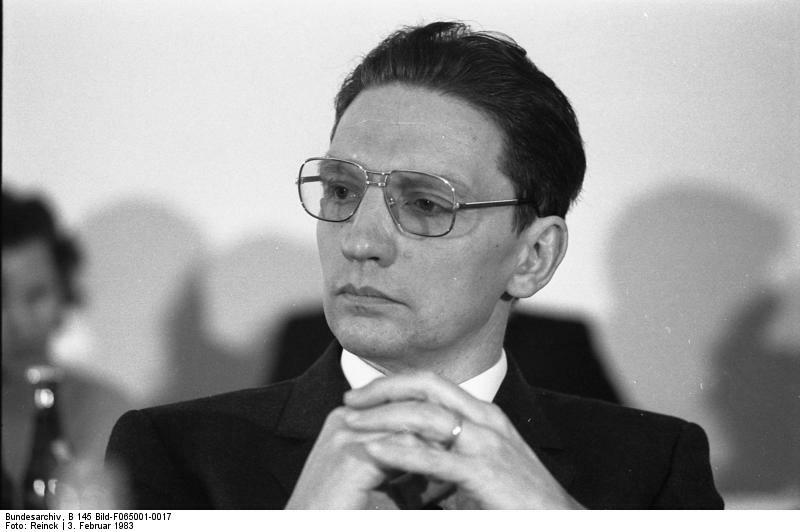 Wolfhart Pannenberg has often been called the greatest theologian of the second half of the 20th century. With his death Friday, the world has lost a brilliant interpreter of Christianity, and I have lost the mentor who molded me as a scholar, theologian, and person. Pannenberg’s staunch defense of the historicity of the resurrection made him a champion among American evangelicals. His extensive involvement in the ecumenical movement and his unsurpassed knowledge of the history of theology were crucial to the most important ecumenical breakthroughs in the World Council of Churches. Taken together, Pannenberg’s extensive writings, including his three-volume systematic theology, offer a theological program unrivaled its comprehensiveness, depth, and rigor. Yet Pannenberg’s influence extended far beyond the evangelical and ecumenical worlds. His early statement that “in a restricted but important sense, God does not yet exist”caught the attention of process theologians and involved him in a multi-year dialogue with John Cobb (who studied with Pannenberg in Mainz in 1963), Lewis Ford, and others. He met regularly with scientists, stressing contingency and natural law as openings for constructive engagement between science and theology. Pannenberg traveled widely around the world, was guest professor at Harvard and Claremont, and hosted many professors and doctoral students from the United States and elsewhere during his decades of teaching at the University of Munich. I was one of those students. While still at Fuller Seminary, I met Pannenberg (at Claremont, ironically) and asked him for his permission to begin my doctorate work under his guidance. A two-year scholarship from DAAD funded the stay in Munich, and I wrote the first 200 pages of the dissertation under his direction. Although I completed my doctoral studies at Yale, I always considered Pannenberg the true mentor of the dissertation. From him I learned the importance of Gründlichkeit, rigorousness — a virtue that I have sought to impart to my classes and doctoral students throughout my career. Pannenberg’s conservativism on political and social issues—for example, on feminism and gay rights—set him at odds with many theologians. He wrote a demanding and uncompromising form of theology in the very years when pastors and the public began to prefer more informal, journalistic, and experience-based theologies. Pannenberg was no popularist. Yet without question he has had a profound influence on some of the greatest theological minds of our generation: John Cobb and Carl Braaten and Robert Jenson in the early years, the famous fiery debates with Moltmann and Jüngel, the religion-and-science discussions with John Polkinghorne and Arthur Peacocke and others, and my fellow students in Munich, such as Stan Grenz and Roger Olson and E. Frank Tupper and Ted Peters. In the dozens and dozens of lectures in the United States over some 40 years, Pannenberg engaged in intense exchanges with virtually every great intellectual personality of our age. In this fiery furnace— or in direct opposition to it!—many of the greatest theological breakthroughs of the last decades were forged. Two hundred years from now, historians of theology will describe the work of Karl Barth and Wolfhart Pannenberg as the two theological giants of the mid-20thcentury. But I want to make sure that the record also includes Pannenberg’s warmth as a person—his quick smile, the way his eyes sparkled when he told a joke, his enduring friendships, and his deep commitment to mentoring and supporting his students. Pannenberg has been called a rationalist. Before you accept this epitaph, you should read his theological autobiography in the American Festschrift that Carl Braaten and I co-edited,The Theology of Wolfhart Pannenberg: Twelve American Critiques. In fact, his theology grew out of a dramatic conversion experience and a continual sense of the real presence of God’s Spirit. …and that we never need to compromise as we wrestle to understand as much of the divine nature as we can grasp through every source available to us. Philip Clayton studied under Wolfhart Pannenberg for four years and continued to work with him for most of his career. Clayton is Ingraham Professor at Claremont School of Theology. He has held visiting professorships at Harvard, the University of Cambridge, and the University of Munich, and has written or edited 25 books and some 250 articles in theology, philosophy, religion-and-science, and comparative religious thought.